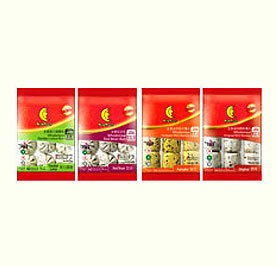 Suitable for cooking vegetable, soup noodles or as a soup base for steamboat. Ready to use, simple and convenient. 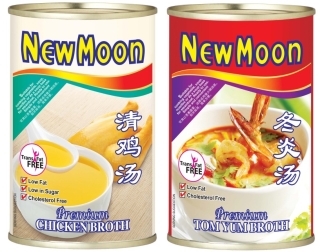 New Moon introduces three new delectable Chilled & Frozen products! New Moon Cheese & Vegetable Seafood Tofu are suitable for cooking in soup, pan fry deep fried. Enjoy New Moon Cuttlefish Balls in soup or deep fried. 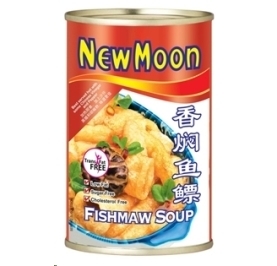 New Moon launches New Moon Fish Maw Soup! 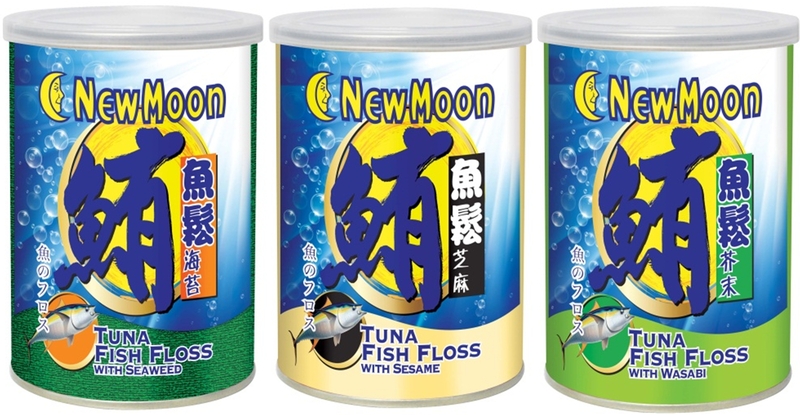 Introducing New Moon Tuna Fish Floss in 3 delicious flavours: Seaweed, Sesame and Wasabi! 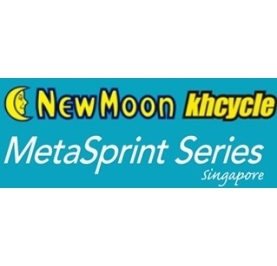 Get yours today at NTUC FairPrice, RSP $7.90 each.